This is the long-lasting, transfer-resistant color you've been searching for. 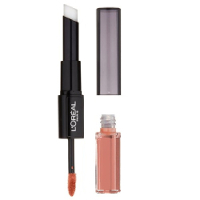 The high-intensity color glides on with a moisturizing feel that lasts up to 24 hours. The result: bold lips without the dry-out and no need to re-apply.